How might we reimagine a pediatric burn treatment facility as a magical environment? 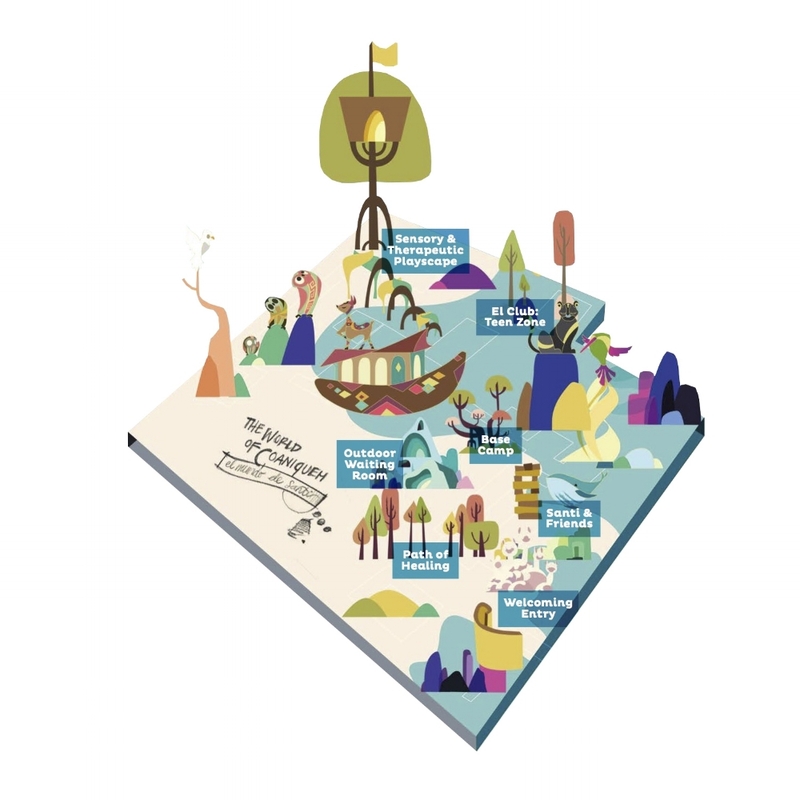 Transform the campus into a magical ecosystem inspired by Chile's diversity. Every great journey starts at Basecamp. to create a cohesive experience tailored to diverse users needs. Engaging in active, interactive play. ecosystem as well as gives them a preview of the treatment experience through occupational and physical therapeutic play. Connecting families through shared experience. the experience of watching their children play together. Making room for the human touch. Blending the human touch with digital efficiency. COANIQUEM has been providing free healthcare to all of South America for 36 years. In spring 2016, eleven students lived, worked, and dreamt with COANIQUEM's medical staff, patients, and families. To complement COANIQUEM's holistic approach to healthcare, students restructured the course to co-create curriculum and deliverables with faculty, subject matter experts and users to reimagine COANIQUEM's pediatric rehabilitation facility. 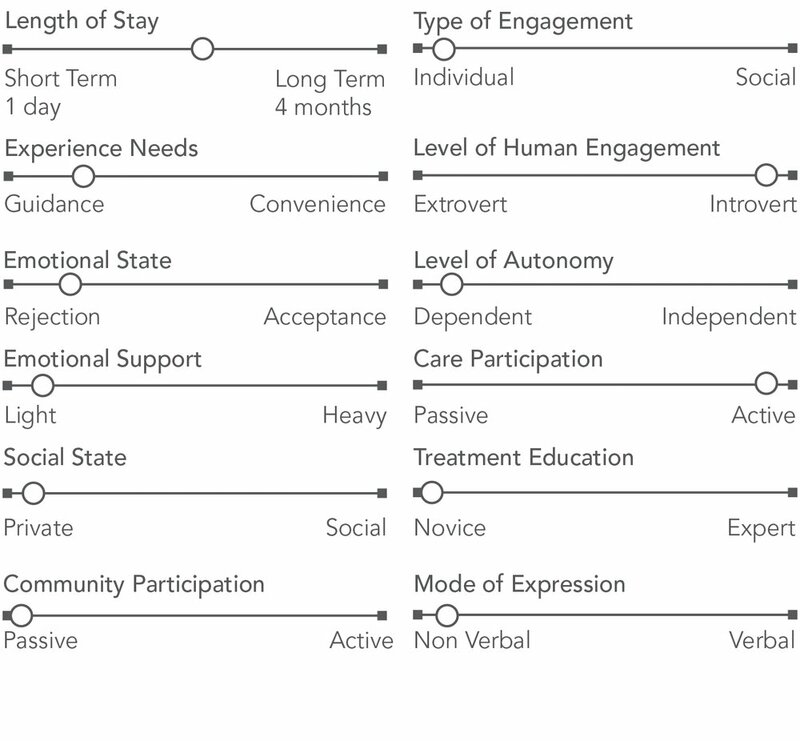 Anxiety, boredom and sterility compound the already complex spectrum of emotions at the initial treatment touchpoint. What if we reimagined the waiting room as an engaging, efficient, welcoming — and even magical — environment for patients, parent and staff? The surgeon is not the protagonist, the child is. We're fighting the war on pain. Parents connect through their kids. Through these multiple stakeholder interviews that main conclusion supported creating opportunities for the patient to reestablish trust in themselves and with others by putting them in control of moments throughout the day. To synthesize the insight we gained from stakeholder interviews at COANIQUEM, we mapped the cultural and social values we came across. We looked at staff, patients and parents as both users and stakeholders given the universal contribution from everyone involved. We're fighting a war on pain. Treatment is incredibly painful as therapists work to break down scar tissue masses also known as contractures. Contractures impede movement and malform growth. The success of each treatment session depends on the emotional outlook of the patient. To explore how play could be used to introduce treatment, a number of prototypes that blended therapy movements with skill building games were tested in the studio then brought to the field. Each treatment requires a specific point of view to maximize. It requires patients to learn life lessons that lead to successful therapy sessions. The treatment team is more than a clinical staff, they are mentors and guides. 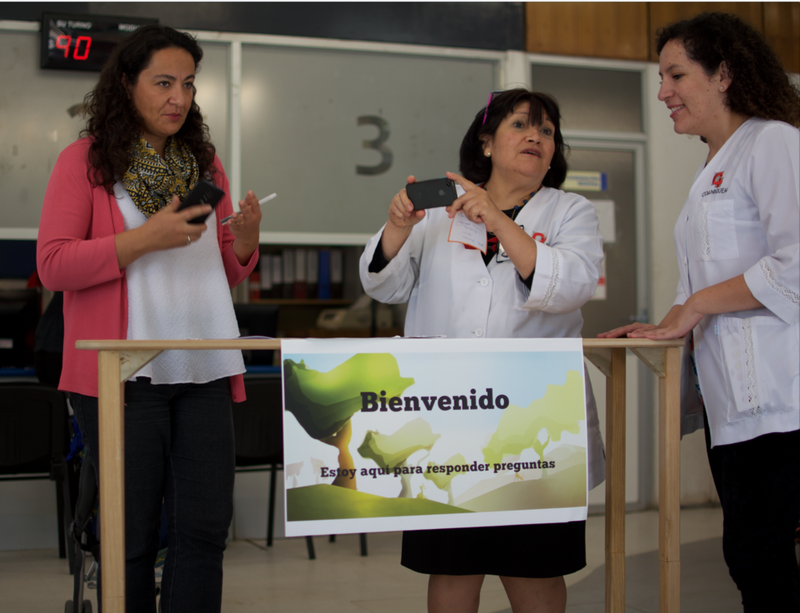 Each character represented a composite of the clinicians providing a specific treatment, animals from Chile’s diverse ecosystems, and a value or insight the patient needs to internalize to maximize the treatment outcomes. 70% of COANIQUEM's patients are under six which required participatory research methods to uncover latent patient needs. A puppet making activity enabled the design team to work directly with patients and validated the importance of creating "empowerment opportunities" ranging from them designing their characters to using tables that were the right height for the under six set. The importance of "modeling" each step of the activity became clear when newly created puppets found themselves involved in spontaneous boxing matches. Additional insight gained included observations on how parents began to engage with each other as they observed their children playing. Moving into therapy phase after 2 years of open wounds. To facilitate dialogue between families we experimented with various seating arrangements. We were challenged to create a flexible seating plan to accommodate summer and winter capacities ranging from thirty to eighty-five people. Mother of 3-year-old moving with new scarring. There’s an opportunity cost to free healthcare. 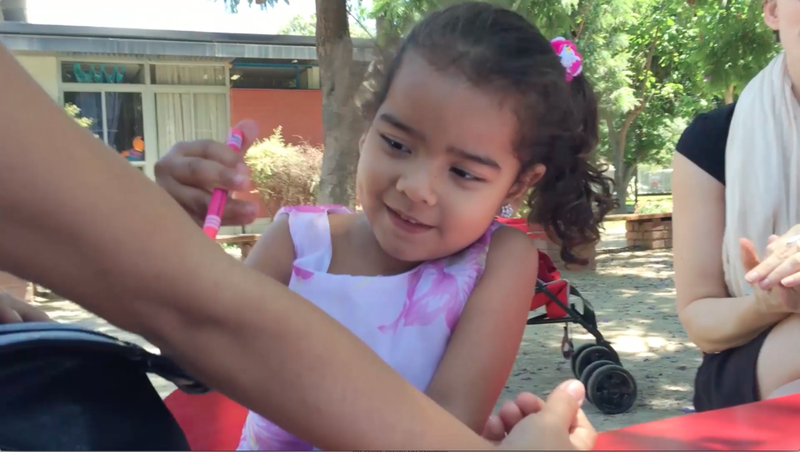 To be mindful of parents' work schedules and travel challenges, the staff sets up multiple appointments with different therapists to optimize each visit to Santiago. Parents are asked to leave work, find additional child care, or come together to trade off waiting duties. The DMV style appointment notification system locks parents to the waiting room between 3 - 8 hours at a time. 1. Colleen Arrives at Coaniquem wondering where to check in. 2. Colleen enters with Antonella, not sure how to start process, she notices reception window. 3. The Reception Staff instructs them to take a number. 5. Waits for number to be called. 6. Colleen’s is called to reception. where she is calmed by the Reception Staff who digitizes her contact info and checks Antonella in. 7. Waits for name to be called by professional. 8. Professional calls Antonella and meets Colleen. Through multiple prototypes we realized the greeter was the first touchpoint when families and patients entered the waiting room. They were usually lost and in emotional distress and needed to figure out what to do when entering the waiting room. 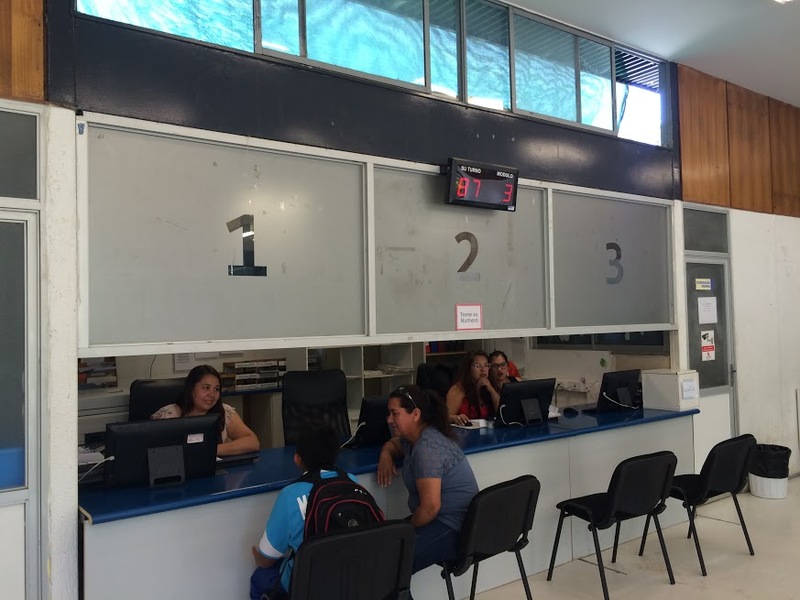 Through this insight we tested where in the waiting room families felt the most comfortable asking for the help they need and found they felt the most comfortable off to the side of the waiting room (where the ticket system currently is) because it was semi private and familiar. Antonella plays with other children. reasurred she and Antonella are in the right place. waiting room and they head to examination room. When I first applied to be a part of the team that got to go to Coaniquem, I was nervous about how I would handle the emotions that I thought would come with being at a child burn clinic. I prepared myself by talking with professionals in the field, we attending workshops focused on sensitivity training and visited hospitals prior to going. This helped me to better understand the task at hand. When we arrived at Coaniquem we were greeted with love and immediately felt like we belonged, were wanted and appreciated for the work we were set out to do. One story in particular stands out to me. There was a little girl (I like to refer to her as smoosh) with the biggest smile I have ever seen with bandages covering her body. She had joy that radiated from her. We were making puppets as a workshop to empower the children to express themselves and she looked at me and said, " I want a pig, with a pink tail ". So we made her that pig. I then saw that little girl for the next three days and every time I saw her she would run up to me and give me a big hug. One day we went to the cafeteria to eat lunch and she was there. She came up to me with a not so big smile that day and asked, " will you scratch my burns for me, they are itchy". This was a moment I was unsure what to do or how to handle this situation but I looked at her mother and she said, "it is okay" so that is exactly what I did. This little girl gave me the inspiration to create an environment that would continue to bring many more smiles to many other children that passed through the doors of Coaniquem. The Safe Ninos project is by far my favorite project I have had the opportunity to work on. I was able to be a part of a team of 12 designers who brought the same level of passion and drive to the project that I did. I learned some valuable tools that I now bring to other projects about empathy and the impact design can bring to a space.